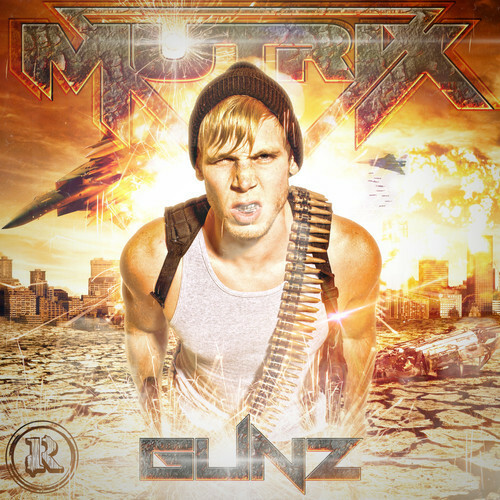 Mutrix’s new banger, “Gunz” is probably the best example of where Trap is right now. This is the first time I’ve heard Mutrix, and from what I’ve been listening to, this guy has made the most proper transition to Trap I’ve ever heard. From the synths to the vocal samples and claps in the beginning, everything is hard hitting and cutting edge. Let’s start with the synth line. The synths cut hard and are unforgiving, and at the second drop, it goes right back to Mutrix’s roots in dubstep flawlessly. The line towards the end really shows what this track is all about, and that is going nuts. If you listen to the drums, you can definitely hear how hard this track really is, aggressive snares over super heavy 808 kicks, and that’s what really sets the mood for this tune. A phenomenal bassline runs throughout the entire tune and completes the banger. Hopefully, we will hear more tunes just like this from Mutrix, where he steps out of his comfort zone. All in all, this is exactly what Trap needs right now: more Dubstep and drumstep producers stepping out and paving the way for a whole new monster. This is definitely worth listening to a hundred times.